News! I have news! A third book about Bella is coming out in July. July 5th I think. 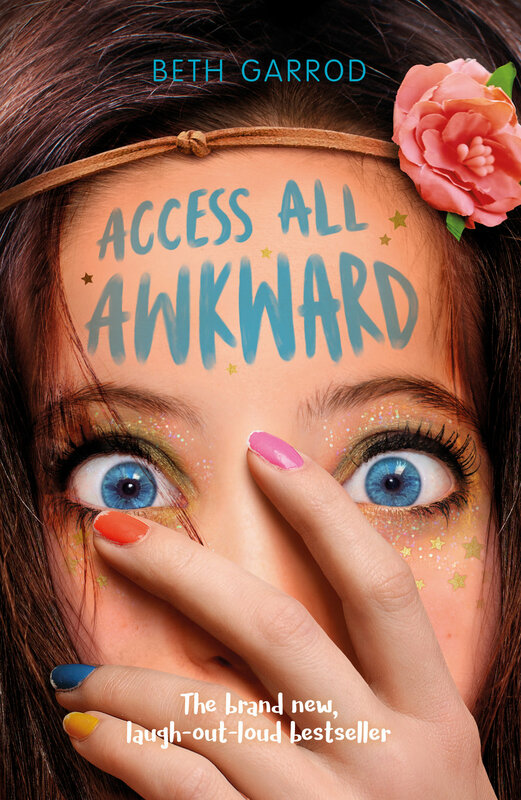 It’s called Access All Awkward and is about Bella and her friends going to their first music festival. It features all the best things in life; her bessie mates, Adam, summer, bands… and having to work as a litter picker whilst wearing bin bags. Here’s a bit more about it. I’m in love with the summery festivally cover. Thanks Jamie! (he designed all of the Awkward covers). If you want to get it you can order on Hive, Foyles, Waterstones, Amazon and all the other good bookie places, including Asda. And if you have questions hit me up on Instagram (@beth__garrod) or there’s a contact form on the site. Bella Fisher is stuck in EXAM HELL - with only the promise of a weekend at a cool festival with her mates as a reward afterwards. OK, so she can't actually afford a ticket and will have to work as a litter picker and toilet scrubber, but it's still going to be epic: the best bands, her best friends and best-boy-in-the-world Adam, with not a parent or teacher in sight. But when she arrives to find annoying older sister Jo has been sent by Mum to keep an eye on her, things go from bad to worse. BFF Rachel is hanging out with some mean girls, awful ex-boyfriend Luke pitches up with his model girlfriend and her pristine Hunter wellies, and the drummer in her favourite band is exposed as a sexist pig. All the face glitter and flower crowns in the world can't save the day... can they? Older PostTruly Madly Awkward lives!